A few months ago, I met Michael. He had just completed secondary school and had shown interest to volunteer for ELI Africa. One thing caught my eyes in his application. Michael was a technology enthusiast and loved programming. In his application he wrote: “Personally, I would love to be able to use computing in ELI’s favor and possibly teach programming, which, I believe, fosters critical thinking and analytical skills many youngsters lack.” The idea of a program to teach children how to code had already been running through my head since a few months. When I saw Michael’s application, I knew it was time to bring it to execution and when I presented the idea to Michael he was really excited! We called it the ELI Code program. Right now, you are probably reading this post on your laptop, smartphone or tablet. Aside from the content, you are probably also enjoying the nice font and the pictures. Now stop for a minute and think about this – how is it possible that your device, which is basically a combination of electronic circuits and chips, is able to display all this on its screen? How does it know that if you select the ‘contact us’ section in the above menu, it should display a map as well as our contact details? What kind of sorcery is this? Does all this happen by magic or did someone tell it to do so and in the latter case how? Technology plays a major role in our daily lives but unfortunately most of us don’t understand how it works. 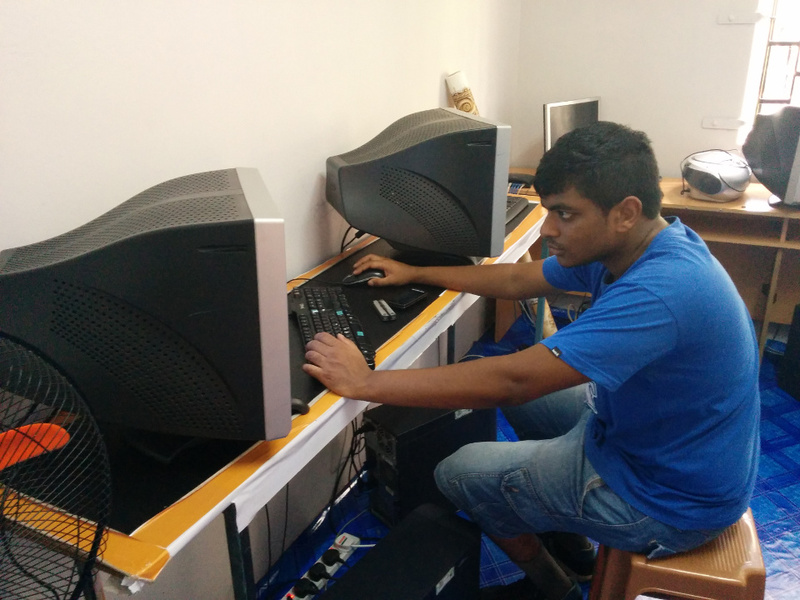 In Mauritius, ICT education focuses mainly on teaching students to use word processors and spreadsheets among others. There is however nowadays an upgrading of the skill level demanded in the labour market due to technological changes which have induced shifts in the types of skills required. While a few years ago being skillful at using wordprocessors and spreadsheets greatly increased your chances of securing a job, that’s not necessarily the case today and will certainly not be the case in the future. Five years from now, to increase your chances of securing a job, you’ll need programming skills. Even jobs not directly related to computer science such as banking or journalism will require at least an understanding of coding and programming. Learning to code will also open new doors for our youngsters. Programming is about expression and creativity. With the right skills and the right tools, the sky is the limit. Mr Zuckerberg is a living proof. We are thus glad to announce the launching of the ELI Code program this Saturday 7 February. The goal of the program is to inspire and empower underprivileged students to develop coding skills and to think computationally. The program will be launched in our center in Roches Bois. The last 8 years I only wanted to know one thing: how to write programs! It took me a few years to get there but I made it! Now I get to share this passion with children who will benefit greatly from it. Coding will open new avenues for these children to emerge on the market and will allow them to break free from the vicious cycle of poverty. Coding will also benefit the children in school, especially in French, English and Maths. To paraphrase Stanford Professor Mehran Sahami: “Writing a program is like writing an essay”. Students learn to structure their ideas and present them in an efficient and logical manner. Mathematical skills are also strongly linked to coding skills. Both require thinking, analysis and a method to solve the problem. The only difference is that each code is usually a unique result of each student’s computational thinking – a skill which has allowed me to tackle many obstacles of my life. The use of MIT’s Scratch in this course will also allow students to tap into their creativity to materialize their imagination and interact with their code in simple ways. Programming is often perceived as difficult with a lot of complex syntax. However, in essence, coding is all about finding logic in your thoughts. Anybody can code as long as you practice! Stay tuned for updates on the ELI Code program. We’ll also post the various exercises we do during the classes so that you can try them at home too.